This bar necklace is s curvacious piece of jewelry for the vivacious woman! Crafted in 14kt rose gold, the curved bar dotted with diamonds is beautifully bowed and can be worn at both 16" and 18" lengths. 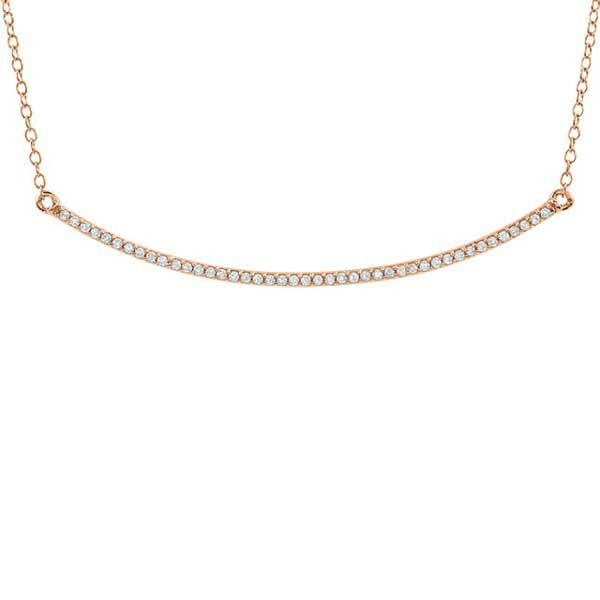 This is a necklace that is shapely, stylish and will be suitable in so many places with so many outfits!